Presentation of award Thursday 16th March 2017. The Fox is proud to announce that for second year running the team have been recognised for their commitment to real ale by being awarded Rutland CAMRA pub of the year. This is testament to the hard work which goes into not only sourcing a varied selection of cask ales but also for the effort which goes into keeping it in tip top condition. A huge thank you to the whole team who make this happen and as importantly the many loyal customers who support us in drinking the ale allowing us to bring such a variety. 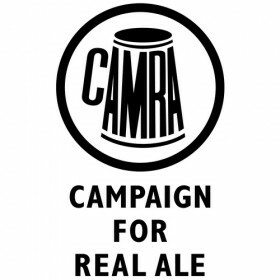 CAMRA are a great organisation and the Rutland branch has a very active subscription. Any one interested in joining CAMRA and wants to know more about the benefits please feel free to ask at the bar. In the meantime please feel free to join us on the 16th March for our presentation or alternatively call in to sample one of our 4 real ales hand pumps.